Fig. 1. 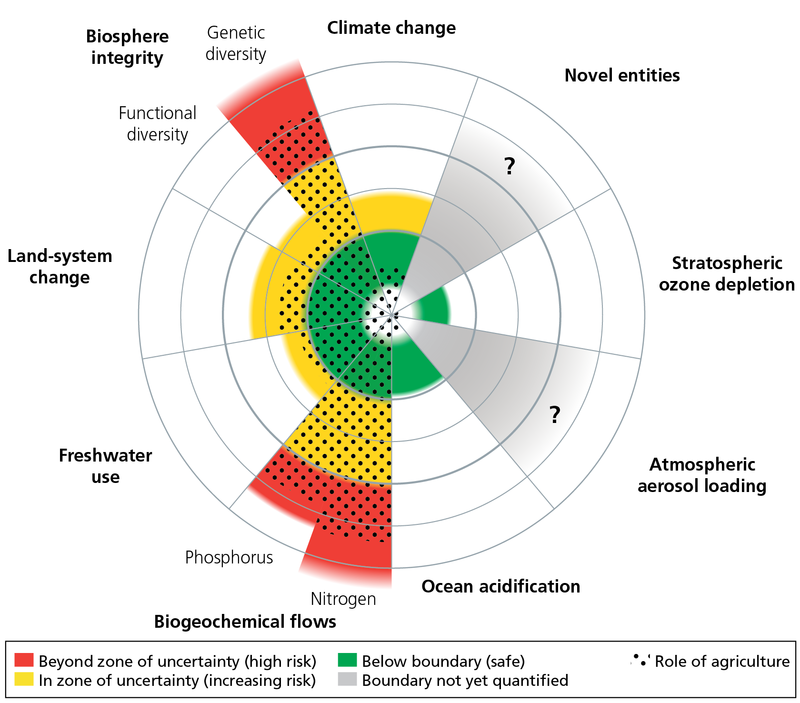 The status of the nine planetary boundaries (PBs; green, yellow, red) overlaid with our estimate of agriculture’s role in that status. PBs based on Steffen et al. (2015), with modification for freshwater from below boundary (safe) into a zone of uncertainty (Gerten et al. 2013, Jaramillo and Destouni 2015a), and an estimate for functional diversity based on Newbold et al. (2016).